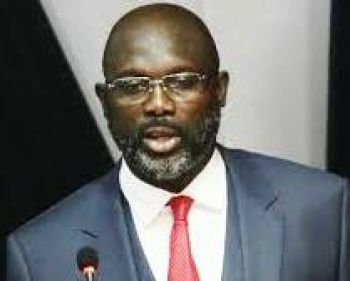 The President of the Republic of Liberia, His Excellency George Manneh Weah has by Proclamation declared Tuesday, November 20, 2018, as By-Elections Day, and is to be observed as a Public Holiday affecting Sinoe County and Montserrado County District # 13, respectively in the Republic. The Proclamation calls on citizens and foreign residents within Sinoe County and Montserrado County District # 13 to respect, specifically, this Holiday, as such. The Proclamation further directs and orders that all government offices, business houses, school facilities and market places in Sinoe County and District #13,Montserrado Countybe closed on that Day so as to allow residents exercise their democratic franchise from six O’clock ante meridian to six O’clock Post meridian. The Proclamation says in order to ensure greater participation of the voters as well as the smooth conduct of the By-Election, affecting Sinoe County and Montserrado County District #13, the National Elections Commission (NEC), has scheduled Tuesday, November 20, 2018 as the By-Election Day. According to a Foreign Ministry release, the Government of Liberia is desirous of ensuring an unhindered movement of eligible voters, granting unto them the opportunity to exercise their political franchise in Sinoe County and Montserrado County District # 13 respectively during the By-Elections. “The appointment of Senator Joseph N. Nagbe to the Honorable Supreme Court Bench as Associate Justice, and the election of Montserrado County District # 13 Representative, Saah Joseph, as Senator of Montserrado County created two vacant seats in Sinoe County and Montserado County-District #13 respectively which constitutionally requires By-Election to be held within three (3) months as provided for in Article 37 of the Liberian constitution,” the Proclamation further declared.